Operational areas are the large scale areas or sites that are being targeted for control within a management unit. Operational areas will reflect the compartments stated in your operational plans provided annually to MPI. Each year a new set of operational areas will need to be created to represent the coming year’s operational areas. Over time this will mean multiple operational areas will be built up within a management unit. By default the system will assign a control activity to the underlying operational area for the current financial year. The system will also only display the current year’s operational areas by default. To display operational areas that relate to other financial years you will need to access the Layers menu and turn on the appropriate layer. How do I define the boundaries of an operational area? Operational areas must fit within the boundaries of a single management unit. As per your operational plan you will have one or more operational areas which have been defined based on your own operational practises. For example, some regions define an operational area based on the control methodology to be applied, where as others define an operational area based on which agency is managing the control activities. Operational areas always apply to a single financial year. If you have defined an area based on multiple years worth of control efforts, you can simply duplicate the same area (using the copy and paste function) at the start of the next financial year. How do I record the extent of an operational area? You may have an existing shape stored in your own system that represents an operational area. 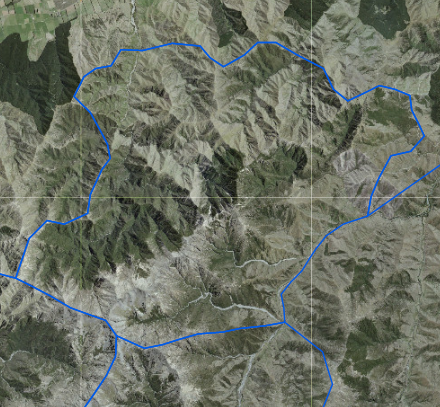 Using the Data Importer application you can import a shp or gpx file (representing points, lines or polygons) as a temporary shape. This shape can then converted into an operational area using the Data Maintenance application. You would do this by first turning on the appropriate temporary layer (e.g. Temp Polygon) then choosing using the copy and paste function to create a new operational area. How do I record the attributes of an operational area? The attributes of operational areas must be entered through the Data Maintenance Application after creating the operational area shape. The table below provides a description of each operational area field and how to go about collecting the data point. Enter a name for the operational area. The name should reflect the name detailed in your operational plan. The organisation that is primarily responsible for managing operations within the operational area. The financial year that the operational area represents. Each operational area must relate to a single financial year. Any additional information you wish to input about the operational area. This could be pulled directly from your operational plan to provide some more context.